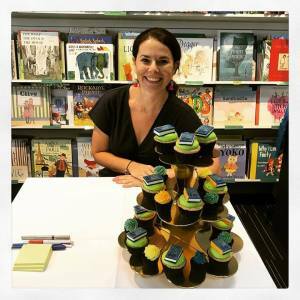 In part 1 of my interview with children’s mid-grade and picture book author, Catherine Pelosi, we heard about what got Catherine writing and how she developed her skills, so that her work was picked up for publication. There was so much to learn from the steps she took to refine her work and get feedback. 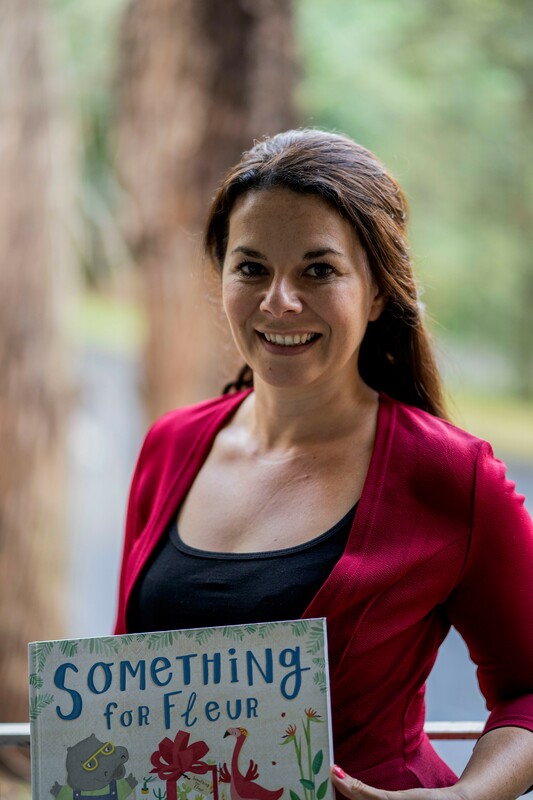 In part 2, today, we’ll hear about how Catherine got her start in the kid lit industry, about agents and publishers and the like, and in part three, we look at marketing and connecting with readers. Catherine, I understand you have an agent. What made you decide to go down the agent path and how did you secure Alex Adset? I’m really lucky to have signed with Alex. I had never planned on having an agent actually, I wasn’t sure how it all worked and if I needed one or not. Then one year, I attended the CYA conference in Brisbane where there were pitching opportunities. I secured a session with Alex. I had five minutes to tell her about ‘Quark’s Academy’. Excitingly, Alex liked the sound of it and asked me to submit. There was still some further development to the story required but eventually Alex signed me up. Having an agent has been great. Not just to get my stories off the slush pile but also to have someone on your team who (brilliantly) handles all the contracts and business side of publishing. 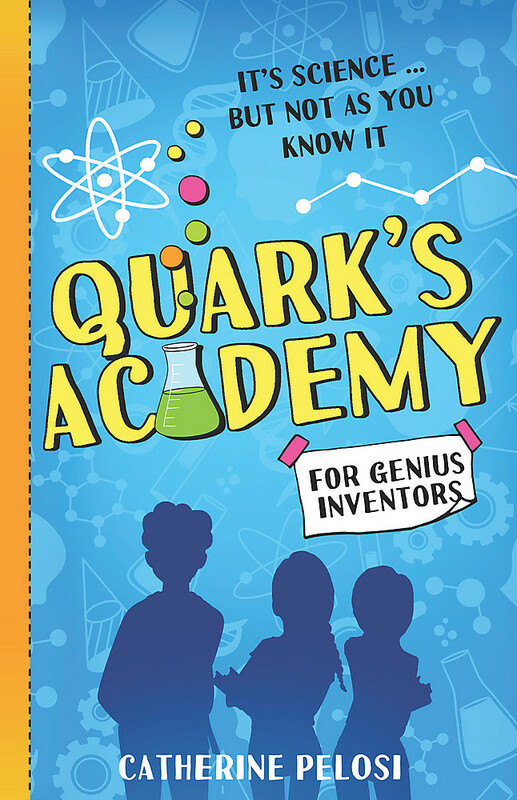 What can you tell us about Quark’s Academy and what do you think it stood out to the publisher? It’s a story of three young science whiz-kids who attend a week at a very mysterious science academy, where they will be competing in the Best Invention Competition. It’s a fun, fast paced story with lots of twists and turns. One bookseller told me that it’s totally unique in that it’s a ‘science mystery’ and there’s nothing else like it. I don’t think there are a lot of science themed books, so it stands out in that sense. That’s brilliant to have that feedback from the bookseller! How did Hachette come to be your publisher? Just two months after signing with Alex, Hachette made an offer on ‘Quark’s Academy’. I’ll never forget that phone call. I was on my lunch break at work. Needless to say, I was over the moon, in total disbelief, trying not squeal and practically in tears (of joy)! What an exciting moment! Are all your books coming out with Hachette/Lothian? They are! 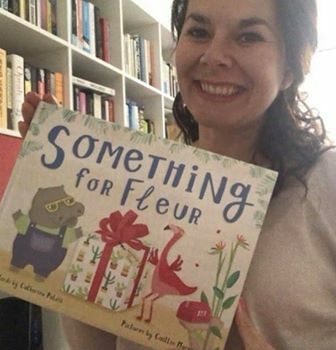 Something for Fleur is a picture book that came out this week (August 1st) and next year ‘Meet the Maniacs’ – a junior fiction novel- will be published. Wow! That’s so exciting! Happy book birthday to Fleur! What can you tell us about them and what you think stood out for them to be picked up for publication? Hachette are so great. They have a really dedicated children’s books team who work hard to get their books out there. Their social media is brilliant, and they do lots of fun things like video interviews with their authors. Hachette publish a huge range of great children’s books like Nevermoor, The Turners, Mapmaker Chronicles and loads of others. I think they understand what kids like! For me, that’s having fun but still exploring real and relatable themes and ideas. Do you write in other genres or have you been published elsewhere? I actually wrote a dating book once! It got offered publication by a digital publisher, but it didn’t happen in the end. I’ve also have a completed first draft of an adult manuscript on my computer but just haven’t had the time to re-visit it. One day maybe. Oh my gosh, I d love to see that dating book! And good luck with the adult work. What have been the discouragements for you in this writing/publishing process? How have you dealt with these? I’ve had a really positive experience so far and it’s been a lot of fun! I think you also have to develop a thick skin to be a writer. Rejection is inevitable, and feedback is a constant, before and after you’re published. I think every writer experiences doubt at some point (or many points). I think you just have to do your best, be open to constructive criticism, always, always back yourself and surround yourself with people who want you to succeed. I love that you are ‘out of the box’ and can’t be categorised. It underscores the idea that children’s books are important – just because – and that anyone can appreciate and value them! What do you consider the most helpful things – events/skills/moments – that encouraged you to write and made you a better writer? Definitely joining a writing group and putting my work out there. That includes submitting to publishers. Rejections are tough, but they can also alert you to weaknesses in a manuscript. I also love listening to podcasts and reading about the craft of writing. Even when you don’t have time to sit down and write, you can still be ‘writing’. In part three of this interview, next month, we’ll find out more about book marketing and Catherine’s top tips for authors. 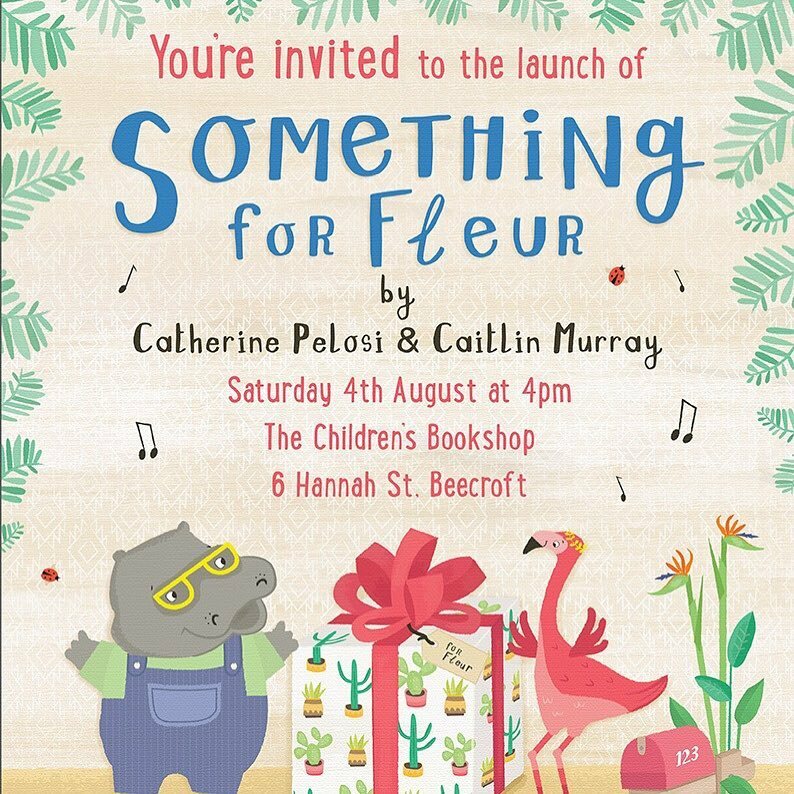 If you’re in Sydney, don’t forget to get along to the launch for Something For Fleur tomorrow, if you can make it. Details on invite at left. For Melbourne people, there’s another launch on Sunday the 12th at The Little Book Room, Carlton. Details on the facebook event notice here. Otherwise, you can find Catherine online at catherinepelosi.com and on twitter @catherinepelosi (I run into Catherine on twitter quite a lot!) and facebook @catherinepelosiauthor. And me at debratidball.com, twitter @debratidball, and facebook @debratidballpage.